Here is the explanation with reference to the context of all the stanzas of the poem The Rain. This poem is included in English Book 3 for the 1st year class. I have explained the stanza 1 and stanza 2 of the poem with reference to the context here. 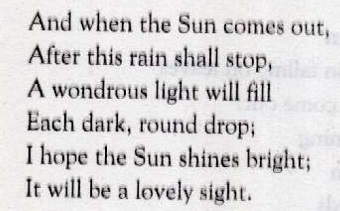 Below is the explanation of the poem The Rain written by W.H Davies. These lines have been taken from the poem The Rain written by W. H. Davies. This is the 1st stanza of the poem. This poem is about the rain and the conditions that prevail after the rain stops. The poem carries symbolic meanings. The poet has beautifully described the scene of the rain. The poet says that rain is a blessing for all the creatures on the Earth. The poem carries a message that every dark cloud has a sliver lining. 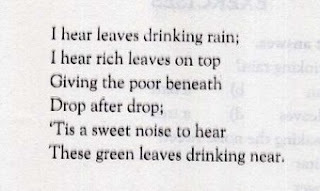 In this stanza, the poet says that he is hearing the sound of the rain falling on the leaves. The 'tip, tip" of the raindrops falling on the leaves makes a sweet sound and the poet is listening to this music. The rich leaves on top first get the rainwater and then they pass this water drop after drop to the lower leaves. This thing even has a symbolic message that rich people have more opportunities to enjoys the blessings of nature. They have more life chances. The poor people get little and in a modified form. Anyhow the blessings of God reach everyone in time. The poet says that the raindrops falling on the leaves make sweet noise. 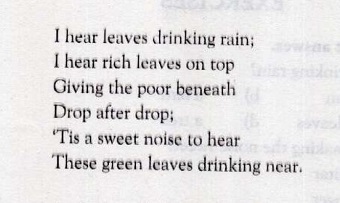 The poet is enjoying the music created by green leaves drinking rain. In this stanza, the poet has sketched the scene after the rain has stopped. He says that when the rain shall stop and the sun will come out, the wonderful light of the sun will illuminate every dark object even the raindrops. The poet emphasizes that the has to stop and the sun has to come out. It is the law of nature. The poet is optimistic. He says that the sun will shine brightly. Everything will sparkle with a new look. It will be a lovely sight. 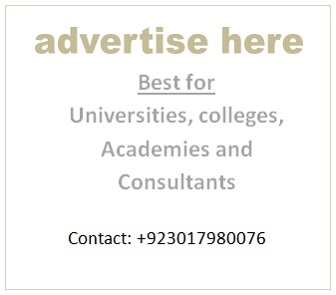 The poet has used symbolic meaning that every trouble and calamity brings about a new era. We should not lose hope.